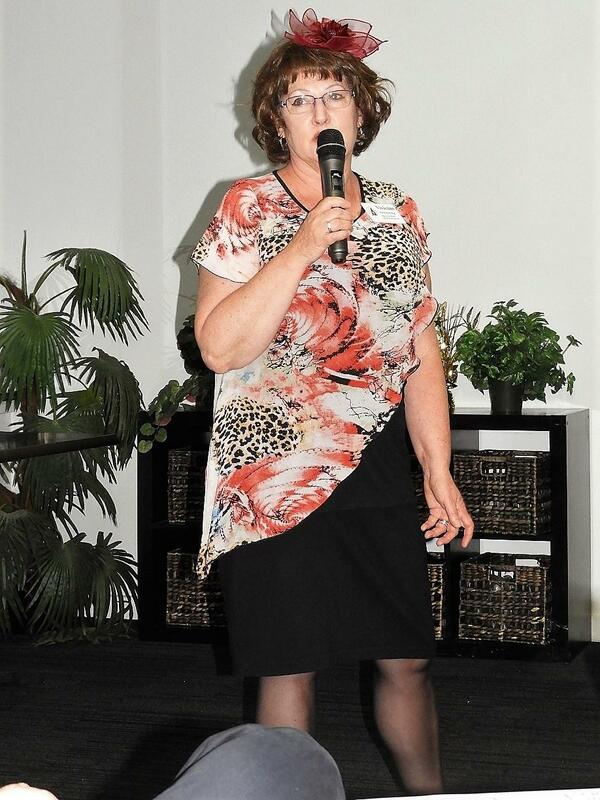 Australian Rotary Health (ARH) representative for District 9820. 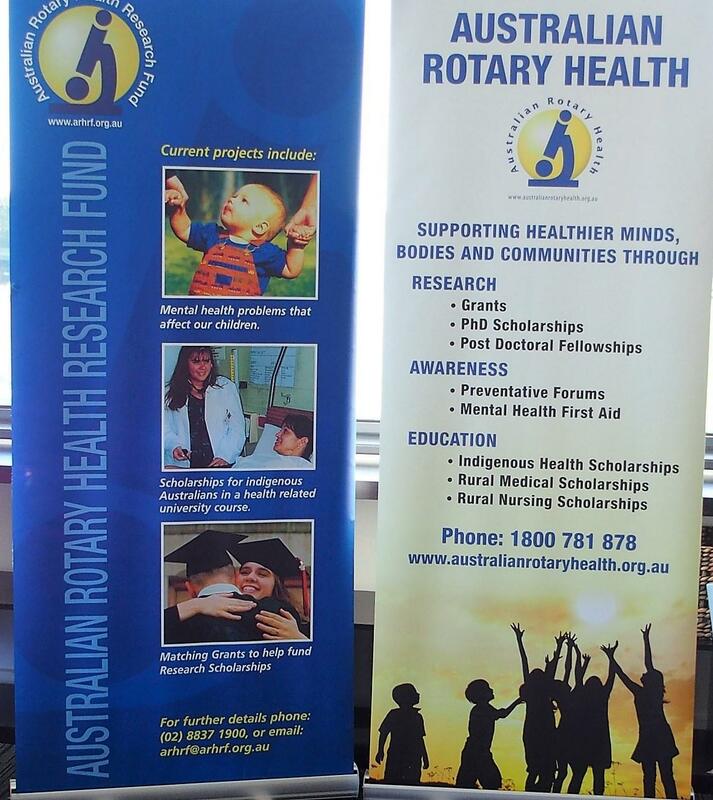 Australian Rotary Health is one of the largest research charities in Australia, with every cent going toward the funding of PHD scholarships and research grants. The main focus is on mental health research, but there are also PHD scholarships awarded for general areas such as multiple sclerosis, diabetes, aboriginal health and many others. Viv earned degrees in psychology and sociology as a mature age student. She has a severely disabled son, a wealth of knowledge when it comes to stress and a strong commitment to spread the word about Mental Health First Aid and Lift the Lid. This year Lift the Lid proceeds will go towards research into Post Traumatic Stress Disorder. You will see and hear advertising on radio and TV promoting Lift the Lid. This advertising is sponsored at no cost to ARH. It is important as a Rotary project, that people know their total donation goes to research with nothing taken out for overheads. Viv also discussed Mental Health First Aid (MHFA) which is a focus of our own Clubs' work. This program has trained over 2 million people worldwide and is at the forefront in the fight against youth suicide. Our schools, sporting clubs, and local councils are themselves supporting MHFA and it is reflected in the drop in suicide rates in this area. We now sit at the national average rather than an area of extreme risk as was our previous reputation. That means there is still much to do, but we as a community, are moving in the right direction. Australian Rotary Health is the legacy of Rotarian Ian Scott from Rotary Club of Mornington, when he decided to find a way to raise funds for research into Sudden Infant Death Syndrome. Remember Red Nose day. Well, that work proved so important and noteworthy that it has continued on in bigger and better ways and today all communities share in the valuable work of Australian Rotary Health. Since 1983 ARH have distributed $41million for research which is really wonderful. Over 350 applications for research have been received by the ARH so far this year, and so far 11 have been fully funded and it is hoped that a lot more will be funded next year. It was a truly inspirational presentation by Viv. PE Lea gave the vote of thanks and presented Viv with a souvenir Rotary Club of Berwick glass. The Club started 3rd May, 1961.
anyone interested in helping others. Book into our Rotary meeting.